Fatigue is a condition where you uncharacteristically are low on energy. Your feet feel as if it is trudging through mud. Everything appears to be in slow motion; your mind has a difficult time processing thoughts it used to do at light speed. 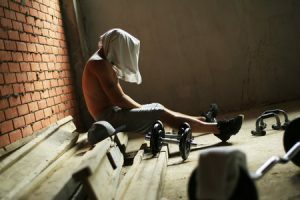 Your level of motivation is affected; it will be difficult to find the will to complete deadlines or meet workout schedules. Induce sleep by drinking alcohol. These are short-term solutions which will make your level of fatigue worse and compromise your overall health and wellness. One of the best ways to address the problem of fatigue is through the use of supplements. Vitamins and minerals have been shown by studies to provide long term remedies to fatigue. The first step is to identify the source of fatigue then take the appropriate supplement. How often do you find yourself struggling to get out of bed or asking for 5 more minutes of sleep? 1. Iron and Magnesium – These are 2 of the most important yet overlooked minerals you should have in your supplement rotation. Ensure proper functioning of muscles. Recommended daily dosage: Iron, 8 to 18 mgs; Magnesium, 310 to 420mgs per day. 2. Melatonin – This is a hormone that is sensitive to light and helps us sleep better. This is one of the cheaper supplements you can find. 3. Glycine – If your level of thinking has been sluggish, try this amino acid which has been studied to have the benefit of improving cognition. Start out with only 3gms per day. 4. 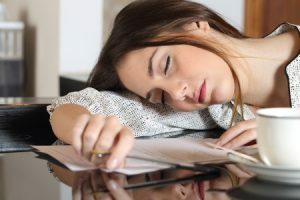 Theanine – Another amino acid you could try is Theanine which has been shown to improve sleep quality and help you feel better the following day. Recommended daily dosage: 150 to 200mgs 30 minutes before bedtime. When we experience stress, the body releases cortisol which helps the body become alert and ready. But excess cortisol breaks down muscle protein which reduces the body’s ability to hold during times of stress. 1. L-Tyrosine – An amino acid that supposedly counteracts stress before it happens by essentially overriding the hormones which induce the condition. It is advised that you take L-Tyrosine before exams. Recommended dosage: 500 to 2,000mgs at least one hour before the stressful event. 2. Rhodiola Rosea – This is a supplement that works similar to L-Tyrosine in that it desensitises you before a stressful event. It may also improve condition and alleviate depression. Recommended daily dosage: 150mgs or single dosage of 288 to 680mgs before a stressful event. 3. L-Ornithine – Stress increases the amount of ammonia in the blood which leads to fatigue and mental fogginess. L-Ornithine is one of the best remedies to removing ammonia and has been shown to alleviate the effects of a hangover. Sometimes going for that extra rep may do you more harm than good. When you frequently exercise at a high intensity, you will eventually burn out your Central Nervous System or CNS which leads to fatigue. 1. Creatine – This supplement is popularly used to increase strength by enhancing muscle contractions. Increasing the muscle’s storage of creatine phosphate will allow you to efficiently utilise glycogen and stave off fatigue. 2. BCAAs – Branched Chain Amino Acids include Valine, Leucine and Isoleucine. BCAAs fight off fatigue by preventing the excessive uptake of another amino acid, L-Tryptophan which induces fatigue-causing serotonin in the brain. 3. Acetyl L-Carnitine – This is an amino acid that increases the rate oxygen is delivered to muscles and prevents lactic acid build up which leads to fatigue. While supplements can help address and alleviate the effects of fatigue, its long-term solution rests with your lifestyle. Fatigue is your body’s way of telling you it is time to take your foot off the pedal and go on cruise control or shut the engine completely for a brief spell. By the time you get back, you will have the energy to make up for lost ground and become more productive. PreviousIs It Safe For Kids To Lift Weights?